I have done the unthinkable. I’ve found the best cleansing foams for dry skin. Read on to discover my picks. I’ll be the first to admit that the whole idea of double cleansing never really sat well with me. Every time I would try it in the past, after the second cleanse, my dry skin felt tight, crackly, and just too clean. But after years of being a beauty editor I had heard enough from trustworthy beauty sources (i.e. Charlotte) that double cleansing was the way to go. So I started doing it every single night and adjusted it to fit my skin’s needs. I was always okay with the whole oil cleanser part, but it was the water-based cleanser section that I had to be picky with. 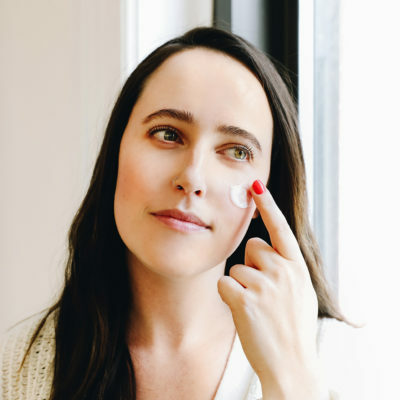 Instead of following up my oil cleanser with a traditional foam-based cleanser, I heeded Caroline Hirons’ advice to “stay clear of ‘foaming’ on the bottle” and instead stuck to gel-based cleansers that simply slicked over my just-washed face and offered a mild cleanse. And yet, I always felt like my face wasn’t completely clean after using gel-based or non-foaming cleansers. Sure, they didn’t leave my skin feeling tight and stripped, but my pores still felt congested after washing them off. I’ve been in love with the Klairs Rich Moist Soothing Cream for a long time now (I have extremely sensitive skin and it’s a miracle for redness), so when the foaming cleanser popped up in my life I was pretty excited. The cleanser itself is super lightweight and actually leaves skin feeling plump and intensely hydrated after you wash it off. How does a foaming cleanser pull this off? The key is in the way this cleanser was made. 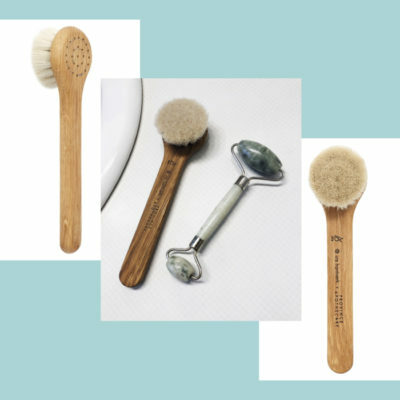 Instead of using a traditional chemical foaming formula rooted in sodium lauryl sulfate, it uses an amino acid foaming formula that helps clean skin yet retain moisture. After rinsing it off, my skin wasn’t begging for a hydrating toner like it usually does. It just felt clean, plump, and moisturized. 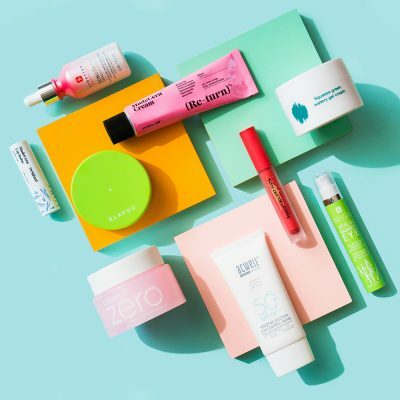 On top of the unique formula, the cleanser also contains a collection of ingredients that not only hydrate, but help build up the skin’s barrier, including hyaluronic acid and ceramides. Bonus: It also has tea tree oil, so it helps with my hormonal acne. 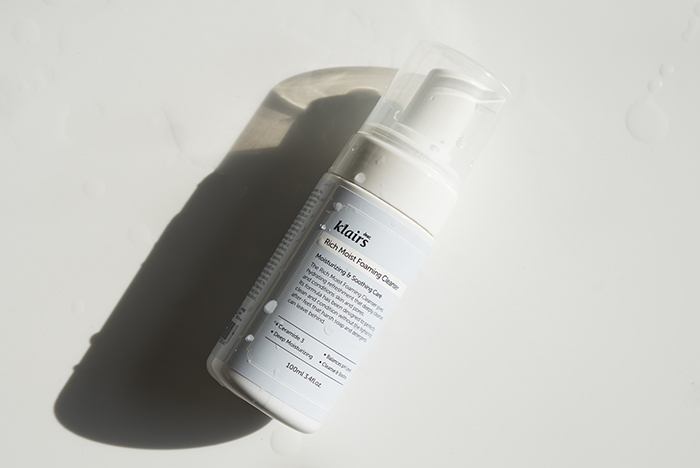 All in all, I like to use this foaming cleanser during the lighter seasons, because although it isn’t a foam that drys me out, it still isn’t hydrating enough for my intensely dry skin during the winter. This Missha cleanser was practically made for the driest of skin. The formula washes skin but keeps it at the optimal pH level of 5. 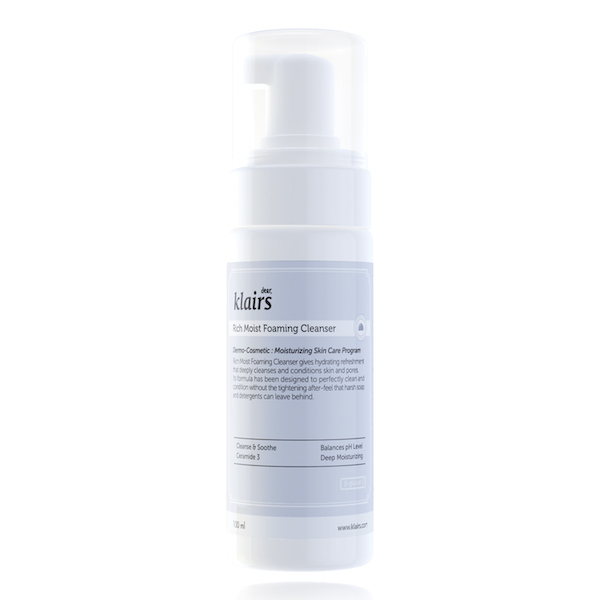 Like the Klairs cleanser, it avoids using a sodium lauryl sulfate-based formula to create the foam and instead relies on a blend of amino acids to throughly cleanse but keep hydration in check. When I use this cleanser I feel like I’m getting the best of both worlds—an effective cleanse with absolutely no stripping of my skin. The foam is one of the lightest foams ever, but it doesn’t feel skimpy. It spreads over my face easily and suds up nicely. I was truly shocked after using this cleanser because when I washed it off, my skin felt as hydrated as it is after I tap on my toner. It just felt smooth, plump, and movable (people with dry skin, you know how important it is to feel like you can move your face after washing it). The Missha Near Skin pH Balancing Cleansing Foam also isn’t harsh at all; it uses Seorak Mineral Water from mountains in Korea to act as the cleansing agent so it won’t irritate sensitive skin that can’t handle commonly used chemicals in foaming cleansers. All in all, this is my stand-in foaming cleanser for the winter. It’s even lighter than the Klairs one and helps retain my natural oils the best. 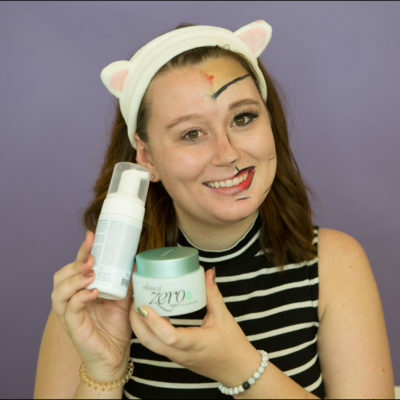 Hirons may be resolute in her aversion to foaming cleansers, but I don’t think she’s fully explored the world of foaming cleansers, especially the ones Korean brands make. 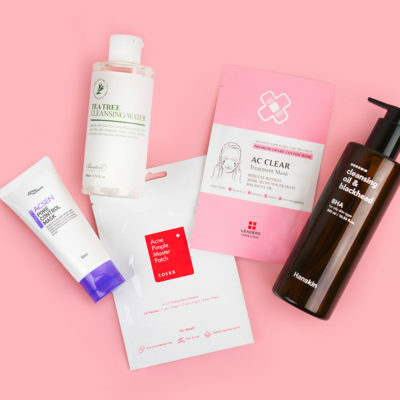 Since the heart of the Korean routine focuses around the double cleanse, you can bet that Korean beauty companies have made it a point to perfect foaming cleansers for every skin type. 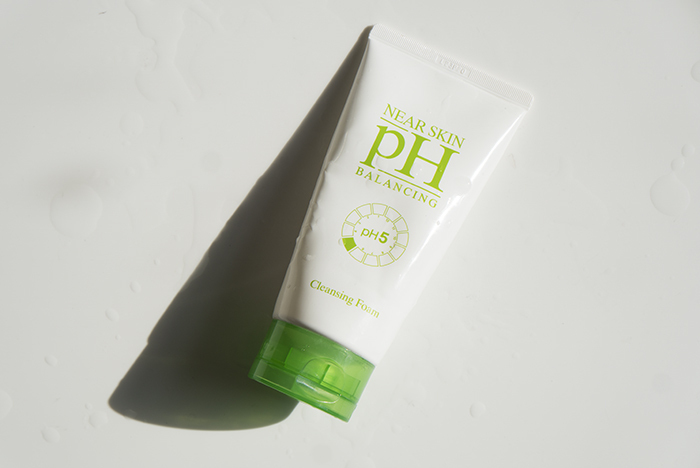 While Hirons is right in saying that many foaming cleansers out there need to use surfactants to foam, which then turns skin alkaline (AKA a breeding ground for bacteria), these two cleansers’ formulas were made specifically to keep your skin’s pH level healthy. I used to think that there was no foaming cleanser in the world that wouldn’t leave my skin feeling tight and crackly, but these two have proved me wrong. And now I finally see the purpose of a proper foaming cleanser: to restore my moisture barrier and to deep clean my pores so they are ready to receive the ingredients in my toner and serum. 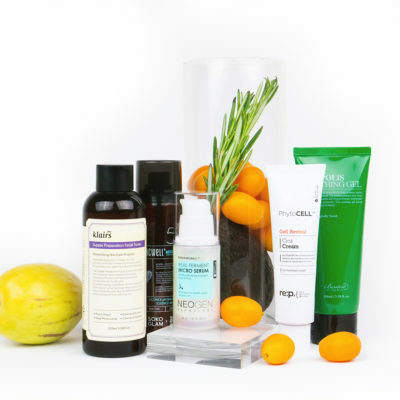 + What do you think are the best cleansing foams for dry skin? Share your picks in the comments!